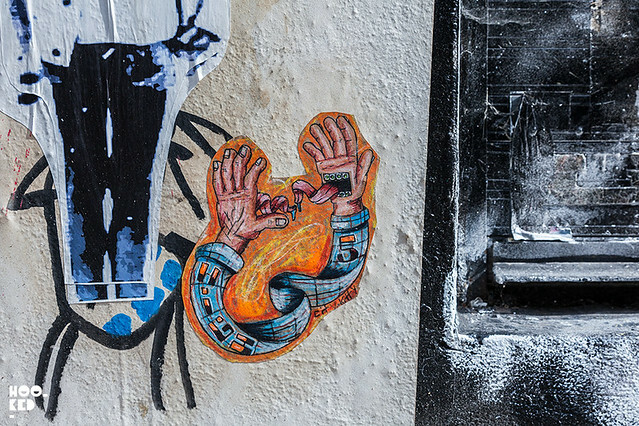 New York based street artist City Kitty recently passed trough London taking to the streets with a series of new works. 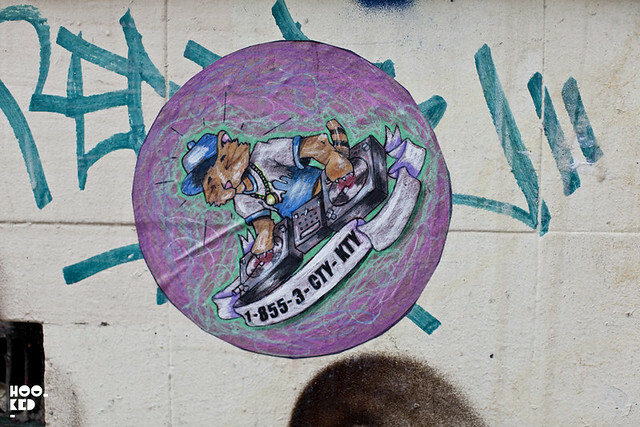 The artist has been actively working on the streets for over six years mostly in the boroughs of New York and more recently appearing in cities across the United States and Europe. This is not the first time we have seen City Kitty’s work up on walls here in East London with a series of works appearing earlier this years in the city some of which saw him collaborate with a number of other street artists including UK street artist D7606 and recently Barcelona street artist Bàlu on the Ghostbuster's inspired piece pictured below. 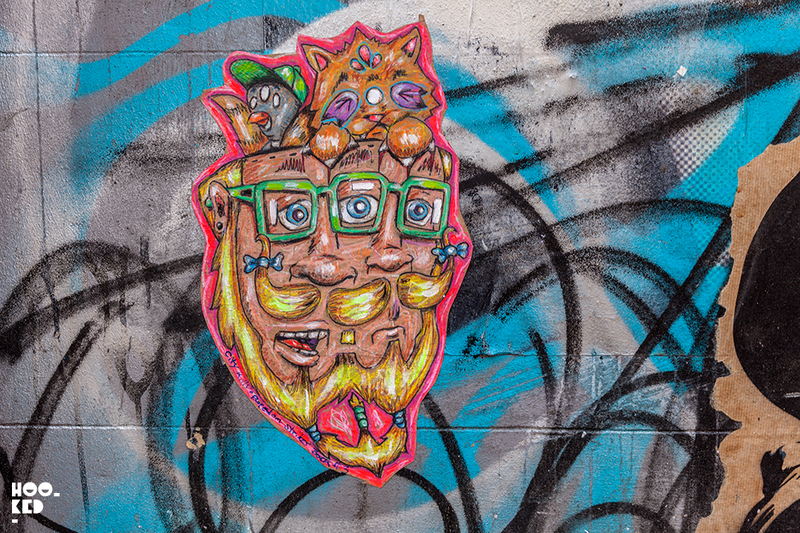 Alongside his collaborative pieces installed on this visit we have also discovered a number of his series of one off hand painted large wheatpasted posters and stickers nearly all featuring his cat characters that he has now become well known for. 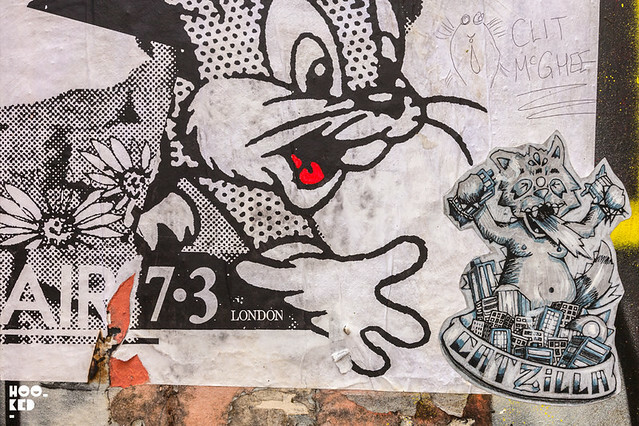 Wheatpasted work by City Kitty along with London artist A.CE London (Previously on Hookedblog). 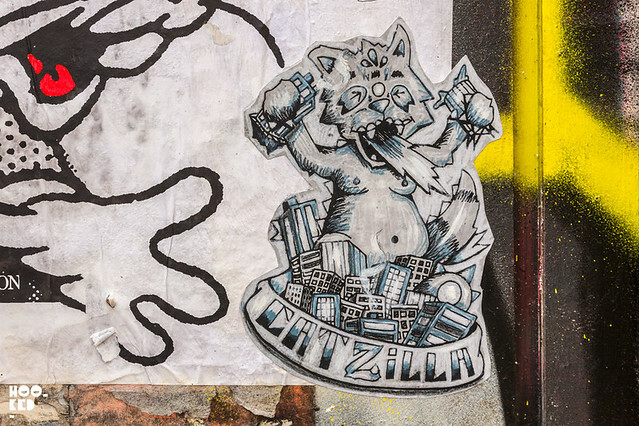 Close up photograph of this City Kitty Catzilla piece pictured above. 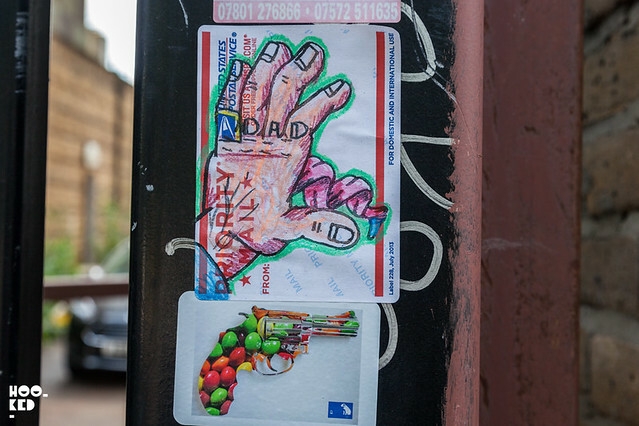 Hand coloured street stickers from City Kitty. 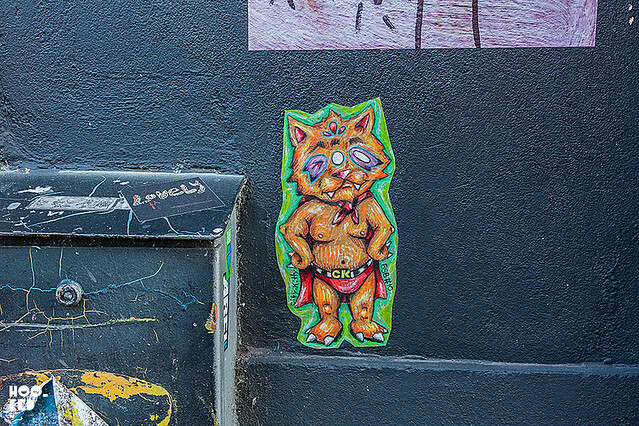 City Kitty often works with other street artists to create some collaborative pasteups such as this Ghostbuster's inspired wheatpasted poster with Barcelona based street artist Bàlu. 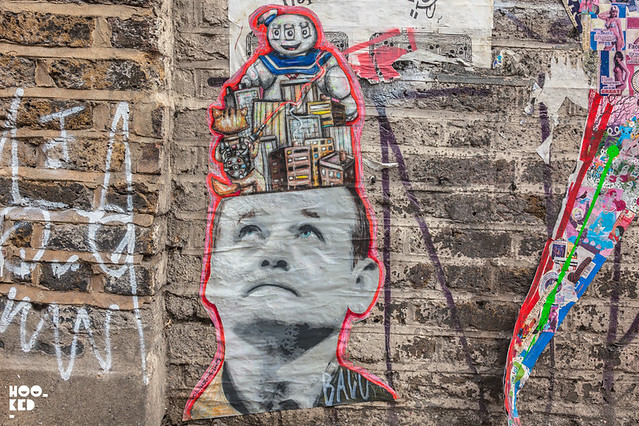 This piece is located on Fashion Street just off Brick Lane, London. A work of City Kitty from an earlier visit to London. 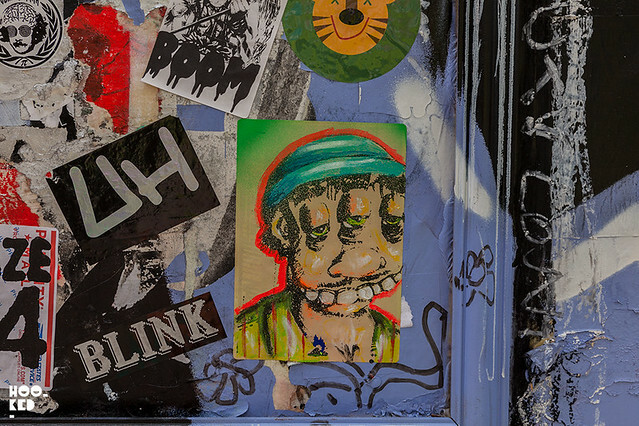 Should you be interested in seeing more of City Kitty's work and specifically his New York posters, we suggest you check out this online City Kitty interview with our New York friend and photographer The Dusty Rebel who has some great images of the street artists New York works as well as additional info about City Kitty and his working process.